With my last few columns focused on the work of Pinto Colvig and his fascinating intersection with Walter Lantz during a pivotal time in both their careers, today’s post will build on some of that previous information and offer some analyses about what came of their collaboration. My fervent hope when I wrote those was that someone with a key piece of information would offer it via the comments, like a revelation that the lost film Blue Notes had turned up or that more drawings of Bolivar the Talking Ostrich were known to exist. Unfortunately, nothing like that has yet happened. In fact, I don’t even know who bought the Colvig-drawn Bolivar sketch that sold on eBay on June 7, 2013. Without that knowledge, I still have only the lo-res jpeg image pulled from the online sale posting. So, my earnest appeal is that hope is not lost because this and my previous posts will remain here for years to come. At any point that someone has something to offer our community of cartoon fans and historians—even just a small tip about any of those things I mention—our ‘hotline’ remains open. Just post a comment below or email me or Jerry Beck directly. Until our big break might occur, I have plugged away with some detective work, trying to build a case from the surviving scraps to paint a picture of what those lost items may have looked like. In my last post, I used a sequence from the Oswald cartoon Kentucky Belles to reconstruct, or to imagine really, the lost “cootie” from The Good-bye Kiss. Today, let’s try something similar. Is there a way to “see” how someone may have approached the animation of Bolivar in 1928? To best consider that, we should look at the animators who were an influence on Blue Notes. According to Colvig, from his memoir, just after Bolivar was completed he “called on some former co-workers with whom I had been associated on the last few silent Oswald cartoons. In a small apartment, I found eight young bachelors; among them were a couple of animators named Hugh Harman and Rudolph Ising.” Colvig was basically describing an early example of California’s entrepreneurial ‘tech start-up’ culture. Here were eight guys crammed in an apartment trying to beat Disney and Iwerks to the first successful sound cartoon. Ben Clopton poses behind Carman Maxwell’s sister in this 1928 Winkler Studio staff photo. One of those eight was an animator by the name of Ben Clopton. It is interesting to speculate the bond these young men may have shared, toiling together on the Oswald cartoons, having been part of the larger group that ditched Walt Disney to re-up for the final year of production on the silent Lucky Rabbit series, only to find that Disney would become their stiffest competitor with an ax to grind. However, Colvig was not one of those who walked away from Walt and Roy Disney. Instead he joined to work on Oswald just after that occurred, the same as Lantz. Clopton was one of those whom folk history casually regards as being sort of a ‘traitor’ to the young, naïve Walt, which is way too harsh a judgment, but there is no getting around the notion that leaving Disney in 1928 amounted to a colossal case of betting on the wrong horse. Nonetheless, these eight enjoyed decent and even notable careers, exemplified by the Harman-Ising pairing which led to Looney Tunes. Clopton thereafter found plenty of meaningful work at the studios for more than a decade, but after a high-profile divorce in 1945 his animation career was over and there is evidence he may have taken up ranching in Montana, returning for some amount of time to where he was born and raised. Meanwhile, a search through digital copies online of the Helena Independent newspaper shows a hometown visit by Ben in 1941 and then a return for the funeral of his father in 1942. He may have been yearning for the rustic life he once knew among the prairie and big sky landscapes around Helena, Montana, far from the glitter of tinseltown. If Ben Clopton remained a little rough around the edges on account of his Montana upbringing then it actually evolved or manifested as something abusive and dangerous enough that Sylvia Lamarr filed for divorce, stating that her husband “used to shoot holes in the ceiling” with a rifle he kept in their home. 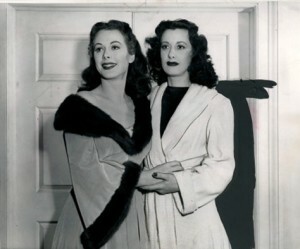 On August 3, 1945, the Associated Press wired a story to papers in which Sylvia Lamarr told the court that the “It made me very nervous,” which is the sort of how I imagine Joan Crawford might deadpan such a serious concern. But I digress. 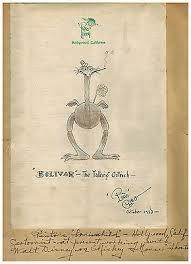 Let me return to Bolivar the Talking Ostrich and the earlier career of Clopton. Through this mutual association of Oswald animators who worked together at the Winkler studio, there was some connection between them, a pattern of influence, imitation and collaboration. If, immediately after Colvig made Blue Notes, he was visiting daily with these eight men who worked with him immediately prior to Bolivar, then it reasons that any cartoon made by them during that period—especially with an ostrich starring prominently in it—might be viewed as sharing some qualities with Bolivar. It turns out that such a film exists. Ben Clopton animated the Oswald the Lucky Rabbit cartoon Jungle Jingles in 1929. The extended opening sequence shows Oswald riding along on top of a knobby-kneed ostrich. When the bird stops, a number of bits ensue. Then Oswald reveals a violent temper and ultimately he fires several rounds of buckshot into the hindquarters of a lion. The whole cartoon is an escalation directed at one adversary to the next. The Lucky Rabbit proves to be one surly character who gets the last laugh. Knowing some of the backstory of Clopton, it is easy to project his gun-toting proclivity onto this cartoon. After all, he did blast holes in the ceiling of his home, not exactly the behavior of a Hollywood gentleman. Yet, for any person who seeks just a glimpse of a likeness of Bolivar on film, his pencil lines of animation may be the closest thing we have to see it, a palimpsest that hearkens back to the lost Blue Notes. Clopton had to know about Colvig’s character from the previous year. At the very least, this ostrich typified its era, a rippling image that moved outward on the surface of a small pond of animators competing to innovate the terms of a new wave of cartoons. Of course, the biggest splash in that pond was Mickey Mouse and the overwhelming gimmick was the artful synchronization of sound in Steamboat Willie. If Charles Mintz and George Winkler thought they could easily take over the Oswald series from Walt Disney and ride it to their own great success, then victory proved to be the sweetest revenge for Disney. 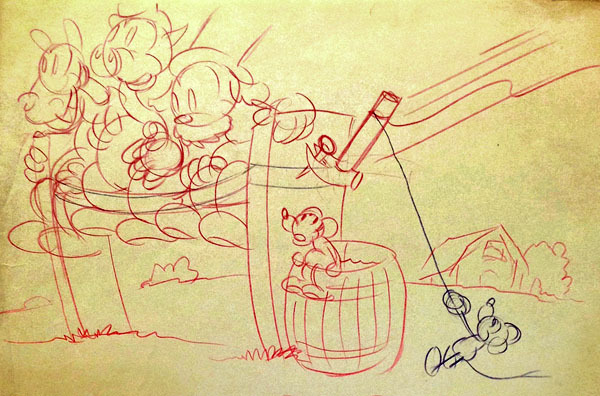 It is telling to see this gag sketch of a disc-eared mouse appearing among the surviving production materials from the early era of Lantz-produced Oswald cartoons. In it, a renegade ‘Mickey’ yanks out a nail and drops a couple of bystanders seated on a makeshift barnyard bleacher. Whatever entertainment they were watching is suddenly interrupted and they spill to the dirt. The Mouse had indeed struck back. 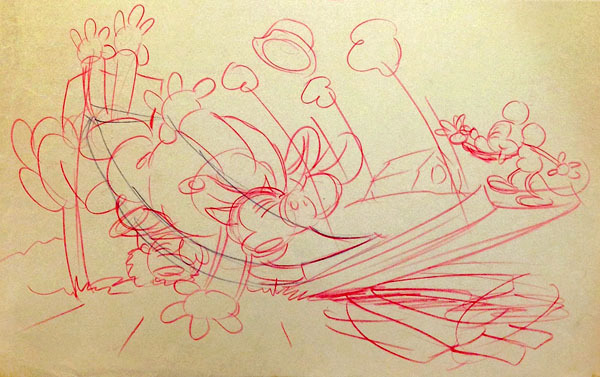 The images above are courtesy of UCLA Library Special Collections, the Walter Lantz Collection. Acknowledgements to the Southern Oregon Historical Society for information on Pinto Colvig. Special thanks to David Gerstein. Tom, you can see the Bolivar sketch in slightly higher resolution than the picture you’ve posted at the archived WorthPoint.com listing for the eBay item: http://www.worthpoint.com/worthopedia/pinto-colvig-original-drawing-1st-454986359 It appears that if you’re a member of WorthPoint (I’m not), you can also see what it sold for… but I’m not sure if that info would additionally include whom it was sold TO. Thanks for this link to WorthPoint! I really appreciate seeing this in higher res. The period of transition, with Disney in an expiring role as producer while still fulfilling his contractual obligation of Oswald cartoons, was fraught with tension and resentment. Michael Barrier’s HOLLYWOOD CARTOONS mentions that Clopton remained about a week longer than some other co-workers. A curtain partitioned the ‘defectors’ from seeing what Iwerks was secretly working on, and Roy Disney refused to even speak with Hugh Harman, one of the strategists in the treachery. Barrier has a nice concise account of this situation that I encourage anyone to read who might be unaware of the fuller picture of this watershed moment that delivered us Mickey. But it’s the small trail of hometown paper news that sometimes gives us interesting snapshots, too. After his formative years growing up in a family of ranchers/farmers nearest Townsend, Montana, “Ben Clopton left Friday for California where he will remain for a few months” reported The Helena Independent on Jan 5, 1927. Tom, there’s so much we learn from your research in these Lantz Archive posts I must ask, ever think of writing a book on Walter Lantz cartoons? 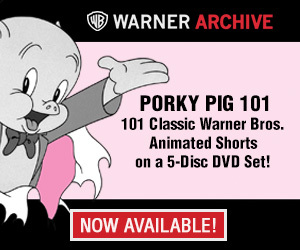 A thorough richly illustrated coffee table volume about Walter Lantz’s animated cartoon history is long over do. Joe Adamson’s THE WALTER LANTZ STORY (1985) is excellent, but Walter’s cartoons and all the animators who worked on them deserve an up to date book. Just a thought.